We begin our discussion with an exploration of the five school-level factors introduced in Figure 1.4 (p. 10). I refer to them as school-level factors because, for the most part, they are under the jurisdiction of the school as a whole. That is, changes in these factors are usually a result of formal or informal policy decisions. These categories represent the most current thinking on school-level factors, and the order in which I list them represents their order of impact on student achievement. That is, a guaranteed and viable curriculum is the school-level factor with the most impact on student achievement, followed by challenging goals and effective feedback, and so on down the list. In making my case for this order, I use the results of five previous attempts to synthesize the research on school-level factors (although more proposed lists could have been included with the same results). For more extensive discussions on these syntheses, see Good & Brophy, 1986; Marzano, 2000a; Scheerens & Bosker, 1997; Reynolds & Teddlie, 2000. In constructing my five school-level factors, I have considered only those that can be addressed without a drastic addition of resources. By definition, then, interventions that would require a drastic increase in the time spent in school (e.g., lengthening the school year or implementing after-school programs) or additional personnel (e.g., lower teacher-to-student ratios or tutoring for every student) or equipment not readily available at the present time (e.g., personal computers for every student) are not addressed in this book. Although these would probably have a significant impact on student achievement, my emphasis is on school reform efforts that can be implemented within the general boundaries of the resources available. Although there is some variation from researcher to researcher (see Purkey & Smith, 1982, for a discussion), these five “correlates” of effective schools (so named because of their strong correlation with student achievement) became the focal point of reform in the 1970s and early 1980s. Although it is probably more accurate to credit these correlates to the entire school effectiveness movement, for ease of discussion, I attribute them to Edmonds in this and subsequent chapters. I should note that the list by Levine and Lezotte included effective instructional arrangement and implementation. In this discussion, it is classified as a teacher-level factor. Again, the complete list contains purposeful teaching as a factor, but I've classified that among the teacher-level factors. Note: Scheerens and Bosker included a ninth factor in their list—homework. In the context of the present discussion, however, it is more of a teacher-level factor than a school-level factor. For a discussion, see Marzano, 2000a. Source: Scheerens, J., & Bosker, R. (1997). The foundations of educational effectiveness. New York: Elsevier. The Scheerens and Bosker ranking was the first of its kind and significantly increased our understanding of the school-level factors associated with enhanced academic achievement. 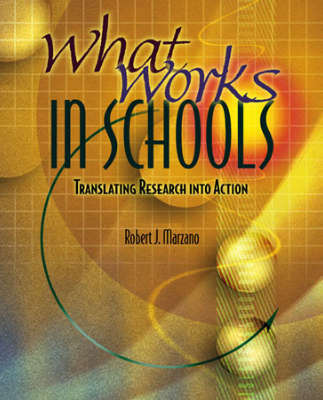 The final review of the research that forms the basis of the five school-level factors presented in this book is one I conducted (Marzano, 2000a). My review was basically a reanalysis and updating of the review by Scheerens and Bosker. The findings from this review are reported in Figure 2.2 (p. 18). The basic difference between the lists in Figures 2.1 and 2.2 is that content coverage from the Scheerens and Bosker study has been renamed “opportunity to learn” and its rank elevated from sixth to first. This is not a trivial change. As I explain in Chapter 3, the research on opportunity to learn demonstrates its primacy in terms of impact on student achievement. Although the five lists of school-level factors might seem somewhat disparate at first glance, careful examination reveals that, except for wording differences, they address the same basic factors. Figure 2.3 depicts the commonality in these different lists and demonstrates how I have collapsed them into the five school-level factors that are the subject of the next five chapters. All these examples address setting academic goals for all students that do not underestimate their potential and that provide feedback as to progress. Therefore, I have organized them into the single category “challenging goals and effective feedback.” As a result, Figure 2.3 does not convey the depth or complexity of the factors identified by other researchers. For example, in Figure 2.3, I have classified Sammons's “positive reinforcement” as an aspect of a safe and orderly environment, which of course is one of my five school-level factors. In fact, Sammons defines this factor as involving clear and fair discipline as well as feedback. Part of Sammons's factor of positive reinforcement, then, would fall under my school-level factor of challenging goals and effective feedback. In short, Figure 2.3 is not a perfectly accurate correlation of the work of others with my five school-level factors. It does, however, convey the basic message—that school-level factors identified by several researchers generally fall into five basic categories. My five school-level factors are listed in rank order in terms of their impact on student achievement, which is derived from the ranking in A New Era of School Reform: Going Where the Research Takes Us (Marzano, 2000a). Specifically, the first school-level factor—a guaranteed and viable curriculum—is a composite of “opportunity to learn” and “time,” which hold the ranks of first and second respectively. The second factor—challenging goals and effective feedback—is a composite of “monitoring” and “pressure to achieve,” which hold the ranks of third and fourth respectively. Although I stand firmly behind this rank ordering, I do not mean to imply that those factors with lower rank are not critical to the effective running of a school. Those factors with weaker statistical relationships with student achievement positively impact achievement up to a certain point only. Such relationships are typically referred to as nonlinear. As Good and Brophy (1986) explain: “Many of the school effects variables probably have a nonlinear relationship with outcomes” (p. 588). For example, consider collegiality and professionalism, which is ranked last of the five school-level factors. Taken at face value, you might conclude that establishing an atmosphere of collegiality and professionalism is not critically important to student achievement. However, if it has a nonlinear relationship with achievement, it could mean that it is highly important to student achievement up to a point where the relationship tapers off. This hypothesis not only makes good statistical sense, but it also makes good common sense. An atmosphere of collegiality and professionalism among teachers and administrators in a school might be a necessary condition for student achievement. But after a certain level of collegiality and professionalism has been attained, an increase in this factor has no further effect on achievement. The absence of the factor “leadership” from my list of school-level factors is not an oversight, although it was mentioned explicitly in the other five lists. Virtually all descriptions of leadership were either very narrow or so broad as to encompass virtually all other categories. For example, in the Scheerens and Bosker (1997) review, leadership was rather narrowly focused on what might be referred to as quality control. This narrow definition probably accounts for the fact that it is rated next to last in their analysis. In contrast, Levine and Lezotte (1990) define leadership as encompassing the following elements: high expenditure of time and energy for school improvement; superior instructional leadership; frequent, personal monitoring of school activities and “sense-making”; and acquisition of resources. Such broad descriptions of leadership were also characteristic of the interpretations by Sammons and Edmonds. I have chosen to exclude leadership from the list of school-level factors. Its proper place is as an overarching variable that impacts the effective implementation of the school-level factors, the teacher-level factors, and the student-level factors. See Chapter 18 for information on the critical role of leadership in school reform. Each of the next five chapters in this section addresses one school-level factor. In each chapter, the research pertaining to the factor is first reviewed and discussed. Then, a set of recommended “action steps” is described and exemplified. This chapter has introduced the five school-level factors. In addition to showing how they encompass the findings from five previous research synthesis efforts, I have provided a rationale for my rank ordering of their impact on student achievement.